FATA remained volatile during the second quarter (April-June) of 2017. In total 100 violent incidents (37 terrorism and 63 counter terrorism) were recorded between April to June of the current year, marking a decline of 19 percent as compared to the preceding quarter of 2017. 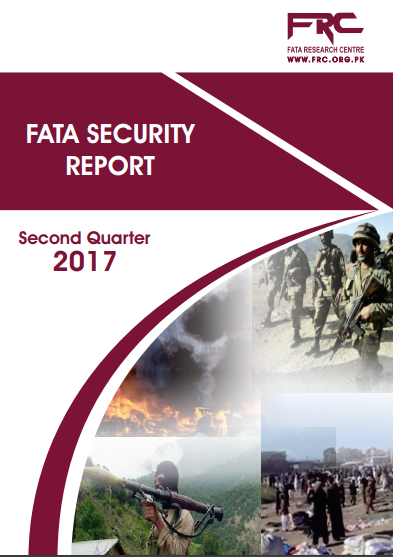 However, the comparative analysis of the second quarters of 2016 and 2017 highlights that the latter witnessed a rise of 185 percent in overall violent incidents, both terrorism and counter terrorism in FATA. The escalation in violent incidents signifies the growing operational capacity of terrorist groups after regrouping and re-establishing their networks in Nangarhar, Khost, Paktia, Paktika, Helmand, Qandahar, Nooristan and Kunar provinces of Afghanistan.